In a research project last year, Carnegie Mellon University students used prescription drug data provided by the Allegheny County, Pennsylvania, Department of Human Services to create a model that could, with 78 percent accuracy, predict who was at a high risk of opioid abuse outside of pain clinics. Early detection allows clinicians to intervene before an addiction develops. Other Carnegie Mellon students undertook a separate project, also using predictive data analysis, to help the Allegheny County fire department determine which buildings were at high risk of fires. Using data supplied by the fire department and other sources, students identified the top 56 buildings—out of 28,000 buildings in their data set—for priority inspections. These projects are examples of how governments and universities can partner to solve real world problems, according to Associate Dean Jackie Speedy, at the Carnegie Mellon School of Public Policy and Management. Similar partnerships can smooth the pathway into public service careers, added Scott Sellers, a leader in the Texas City Managers Association, which has assigned two seasoned “Managers in Residence” to 14 Texas universities to raise the profile of the profession and compete for the next generation of top talent. The effort has boosted collegiate membership in the association significantly. Speedy and Sellers spoke at an event in Washington, D.C., hosted by the New York-based non-profit Volcker Alliance, which announced last week that it is launching two pioneering regional-level partnerships between government practitioners and universities. It says that these partnerships will respond to “high need areas for government: access to top talent, workforce preparedness, and support for applied research, predictive analytics, and program evaluation.” The two locations will be Austin, Texas, and Kansas City, Missouri. The Volcker Alliance’s Government-to-University initiative is an idea along the same lines as a proposal announced by the White House Office of Management and Budget last summer. OMB proposed creating a Government Effectiveness Research (GEAR) Center that would be national in scope. It reiterated its commitment in the administration’s recently-released budget proposal for 2020, with the target of launching a national network by this fall. The Alliance project, dubbed “G2U” for short, completed an exploratory phase in fall 2018. It convened a series of four exploratory design sessions to determine if there was a practical interest in government-to-university partnerships. 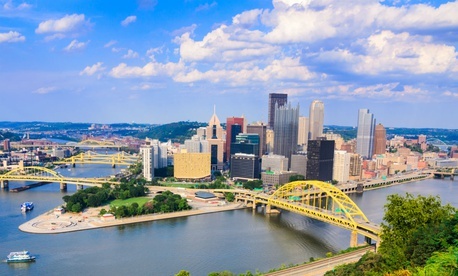 It held sessions in Pittsburgh; Chapel Hill, North Carolina; Kansas City; and Austin, Texas, attracting more than 200 participants ranging from university professors, career services leaders, deans, and students to government officials from federal, state, counties, cities, and towns. In the coming months, the Alliance will partner with government and university leaders in Austin and Kansas City to establish two inaugural “G2U Regional Councils.” The Alliance will provide technical assistance support to each site, helping stakeholders develop a regional governance structure, identify priority projects, and enlist support from potential funders to foster local ownership and chart a course for sustainability over time. The Alliance hopes to expand to additional sites later this year. At the launch event, Angela Evans, dean of the Lyndon B. Johnson School of Public Affairs at the University of Texas at Austin, observed that “this is a chance to do it,” that is, to create sustained relationships between universities and government. She compared the potential of the research network to something akin to the micro-task website Task Rabbit—bringing together talent with need. Likewise, David Warm, executive director of the Kansas City-based Mid-America Regional Council, sees the role of G2U in Kansas City as both a hub and an intermediary. He sees G2U as an opportunity to broaden the pipeline of research and apply academic and private sector lessons to government in areas such as talent development and the use of data in decision-making.